MARUDI: January is considered a ‘bonus month’ for many farmers here because their orchards are bearing fruit, and with it a windfall. 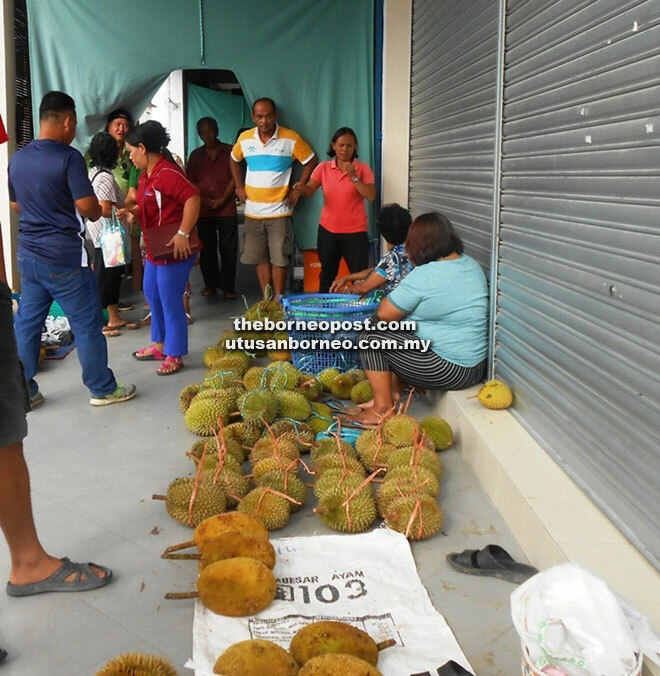 Their durians, terap, dabai and yellow durians (isu) fetch very good price in the market. Most five-foot-ways and roadsides here are dotted with heaps of the seasonal fruit, with durians taking up the most space. However, all is not well for a few locals. They complain of the stench and the ‘eyesore’ brought by those fruits. There are rubbish everywhere. Durian skins are thrown indiscriminately. The local council is not doing enough to rein in the offenders. Many vendors display their fruits at parking lots, depriving motorists of parking spaces. Chairman of Marudi District Council, Edward Mendai has been informed of this. He said he would instruct his officers to go to the ground to monitor the situation. Meanwhile, the price of durians here is RM10 for three, dabai RM10 per kg, and terap RM5 each. 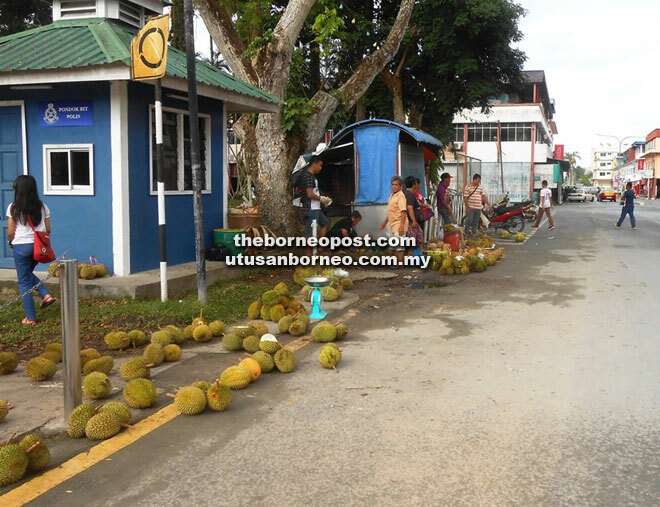 Many farmers and middlemen however send the fruit to Miri to get better prices.